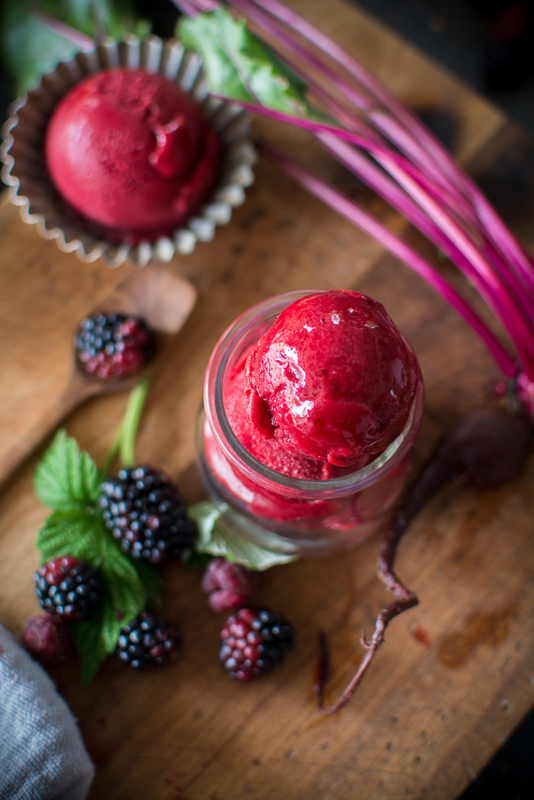 I’m still in harvest heaven as you can see with this amazing Beet Raspberry Rose Sorbet. 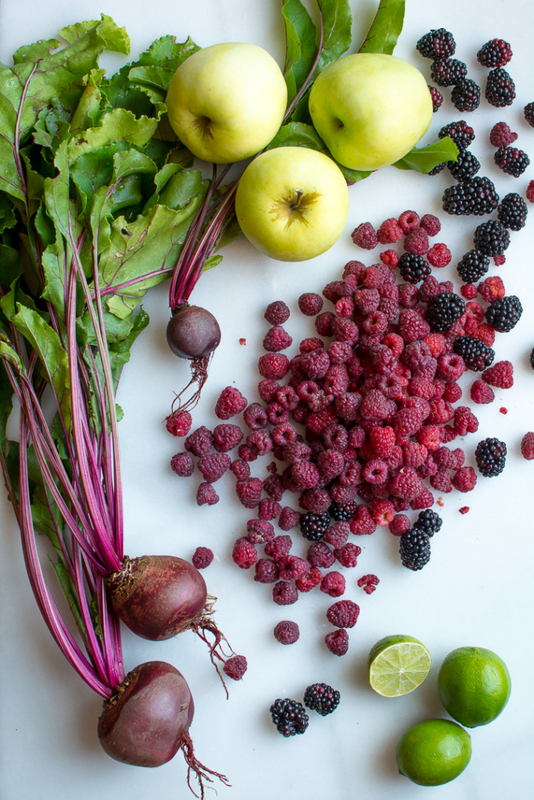 The beet and rose flavors are so subtle and don’t over power the tart, fresh berries. 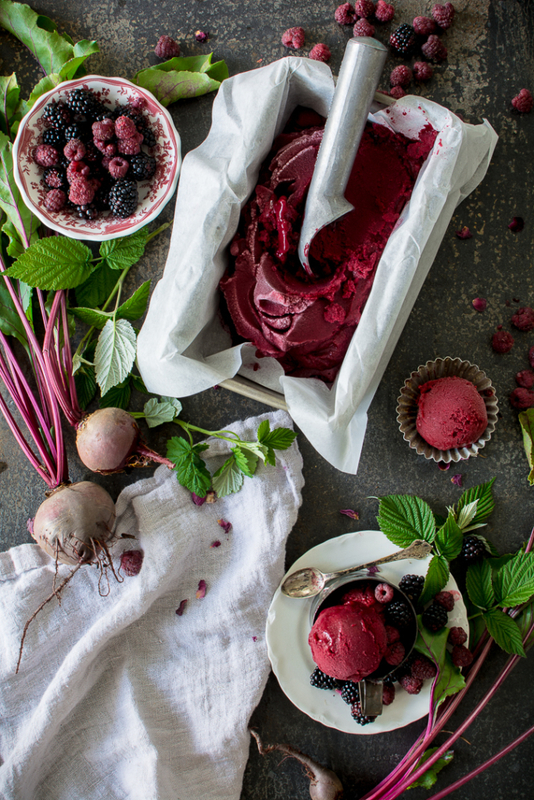 Learn how to create this refreshing Beet Raspberry Rose Sorbet with a simple tip that will help create any flavor combination. Every Friday I take a trip to my local farmers market. Every time I see a flat of beautiful berries, I’m immediately lured to the farmer. I can’t walk away from the berries. Every time I see, I buy. 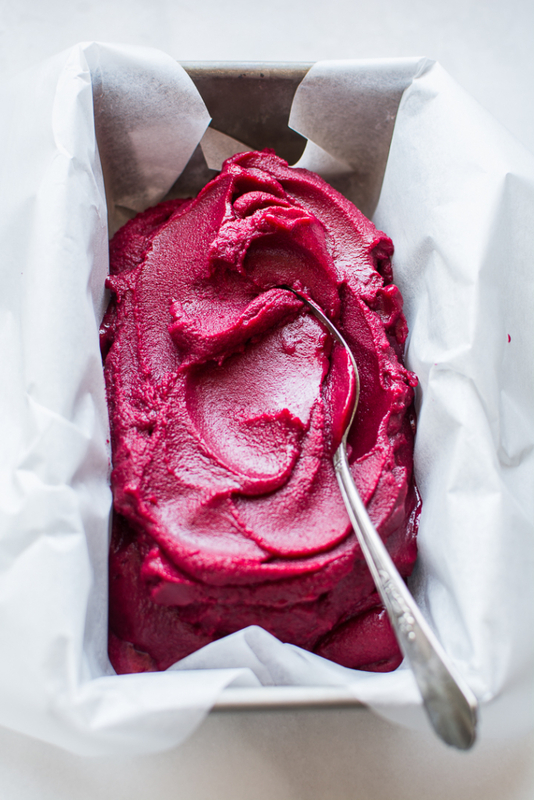 This time my justification was this Beet Raspberry Rose Sorbet. So worth it. Farm to table? More like farm to mouth! 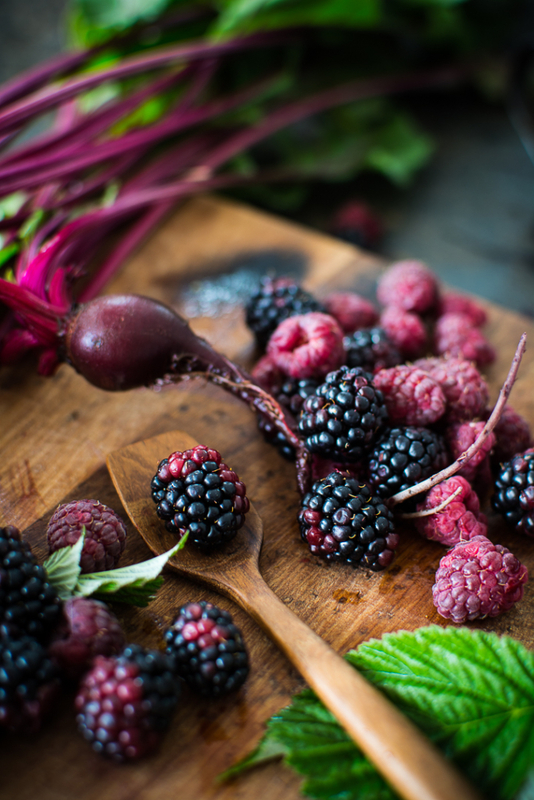 Gather the following from your local farmers market: Beets (from my garden), raspberries & blackberries, apples, and a squirt of lime…from the grocer. 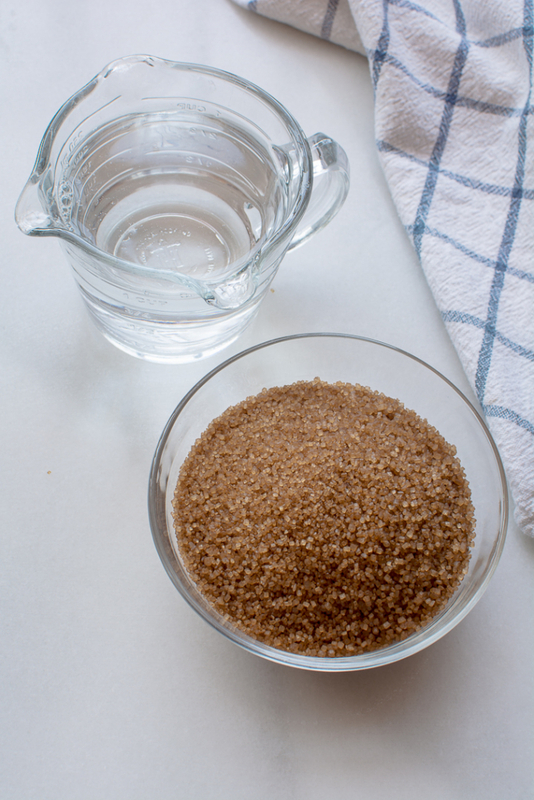 Make a simply sugar syrup with 1 cup raw cane sugar and 1 cup water. 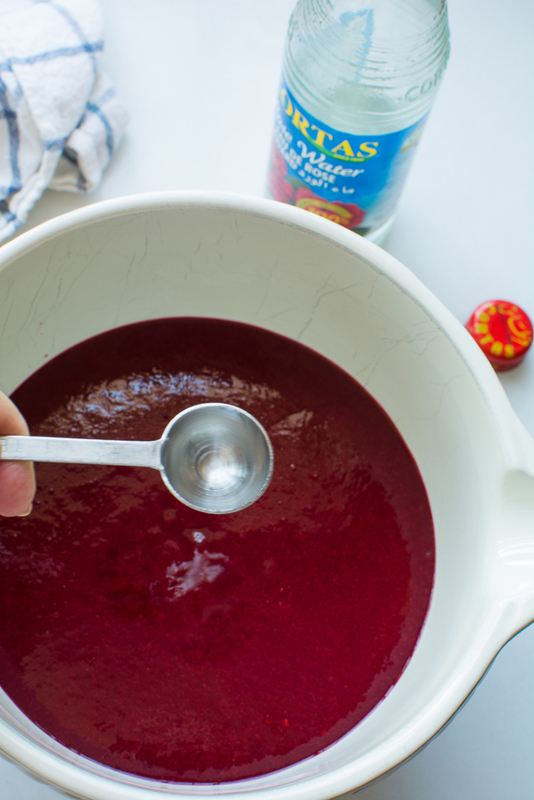 Make a simple sugar syrup by adding the sugar and water to a small sauce pan. Cook over medium heat. Stir until the sugar has completely dissolved then bring to a simmer. Let cool. Store in refrigerator until ready to use. 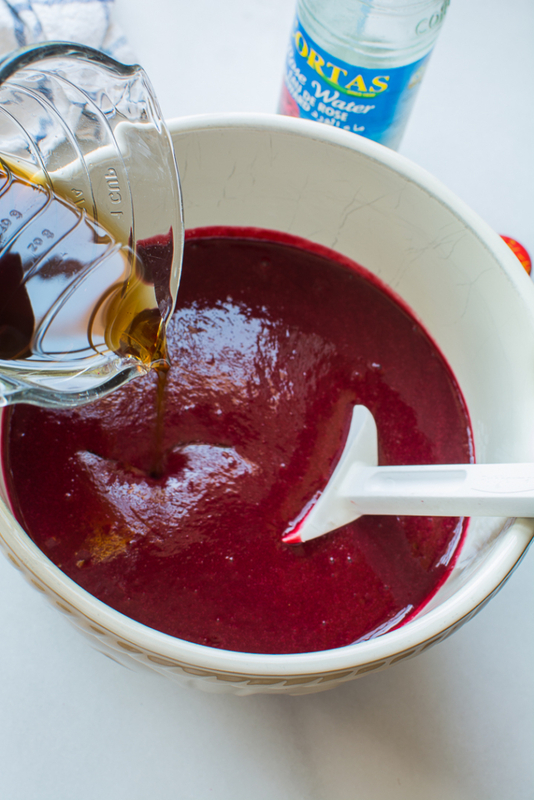 I used raw turbinado sugar, which creates a darker colored syrup. 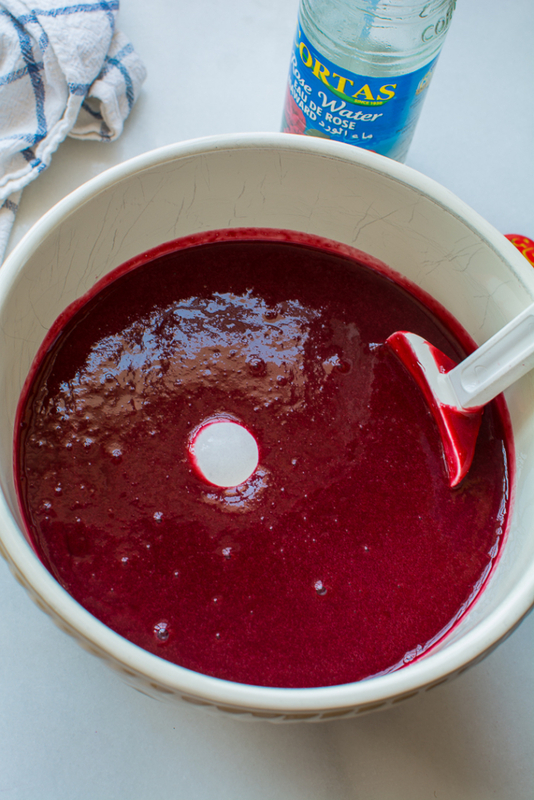 To make the sorbet you will need: 6 cups berries, 1/2 cup beet juice, 1/2 cup apple juice, 1/2 lime (juiced), 1 teaspoon rosewater, 1 cup or more of the sugar syrup that was just made, and 1/4 teaspoon sea salt. I juiced my own beets and local apples. Organic of course. 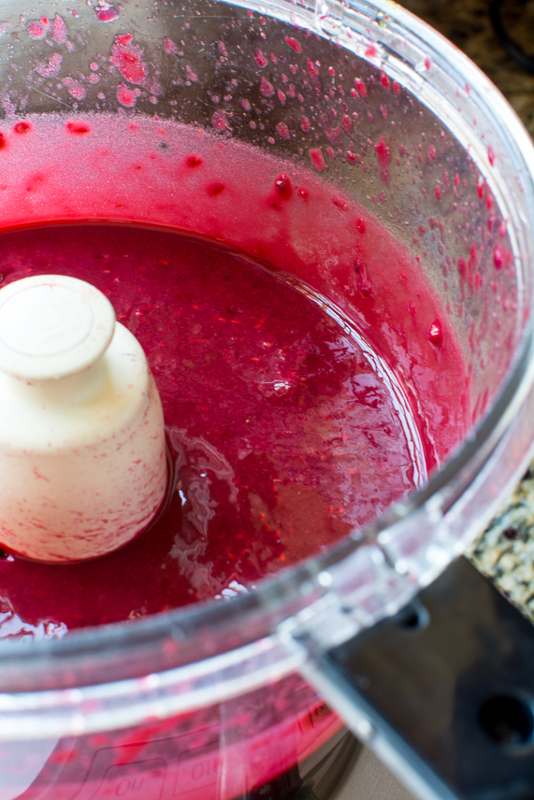 In the bowl of a food processor add berries, beet juice and apples juice. Pour mixture through a fine sieve that is set over a bowl, and remove all seeds. The mixture will be smooth. Add the teaspoon of rose water and juice from 1/2 of a lime. 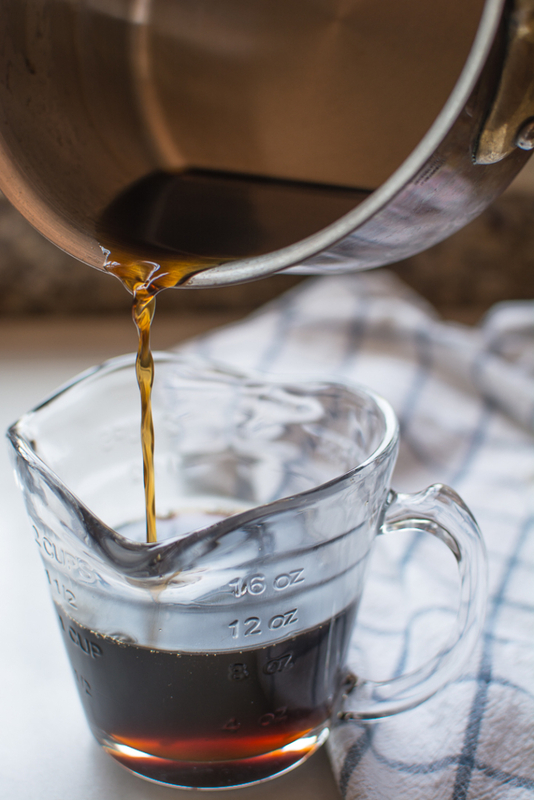 Pour in one cup of the simply syrup. Stir. The egg begins to float to the top of the mixture. You only want a quarter size of the egg showing. Once you see this much of the egg, you have added enough of the sugar syrup. Remove the egg and save it for baking a cake. Why do this test? Well if you don’t add enough sugar syrup to the base, the sorbet will be icy and more like a granita. 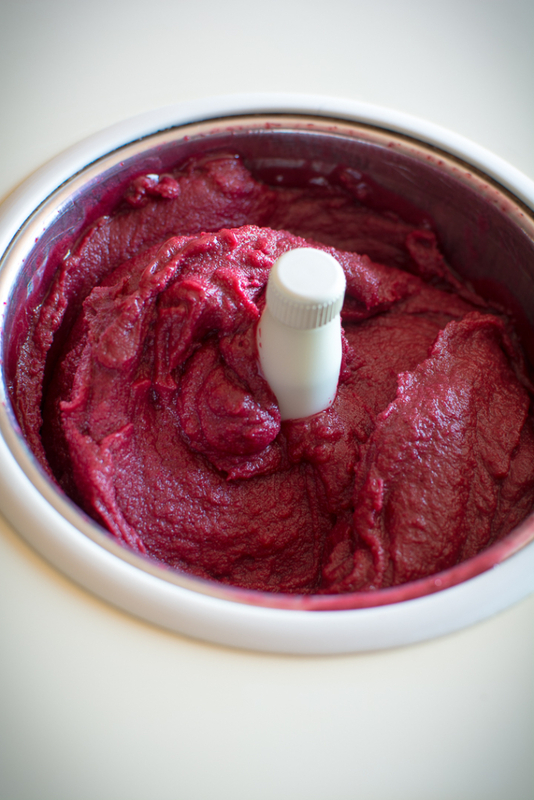 If you add too much syrup, the sorbet will be more like a slush and not form a nice shiny scoop. Who knew? 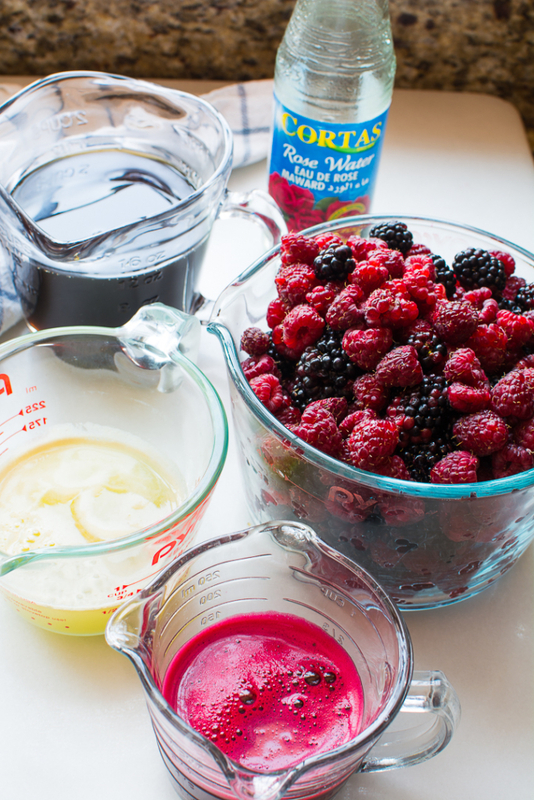 Refrigerate this mixture for at least 2 hours or overnight. Once refrigerated pour into a ice cream maker. Freeze according the the manufacturers directions. 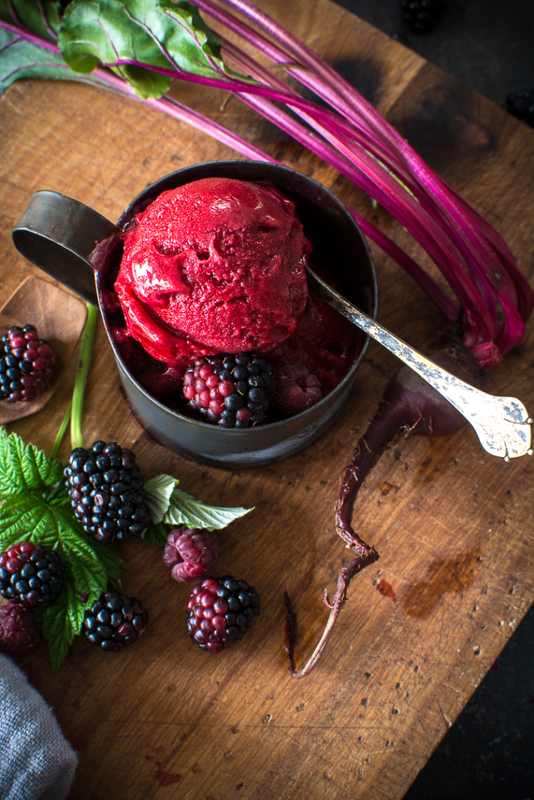 Grab a spoon and test the sorbet over and again. 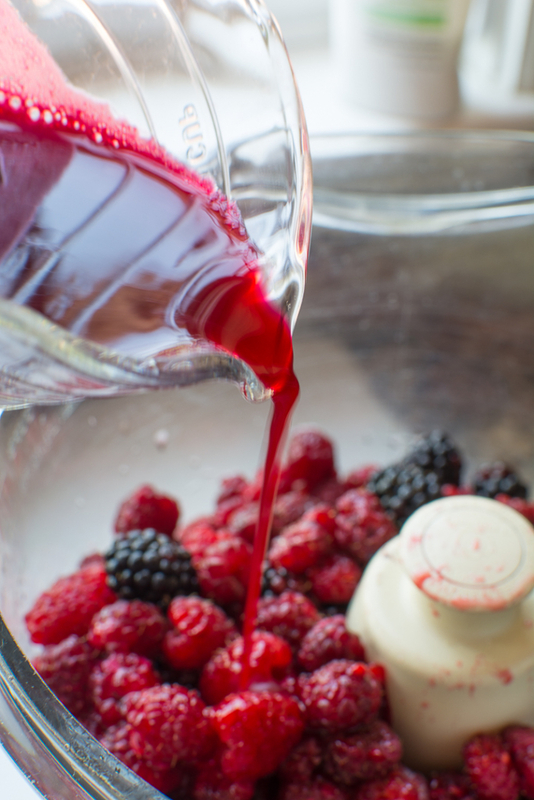 Transfer sorbet into a container and freeze for an hour or so. 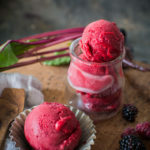 Here is another tip: Place whatever container you will be storing the sorbet in, into the freezer to get nice and chilled while sorbet is churning. This way the sorbet won’t melt once poured into a room temperature container. 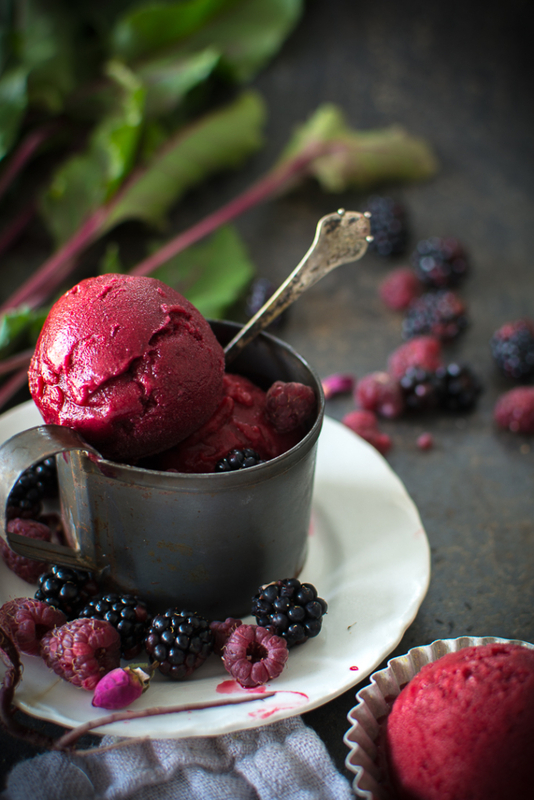 Bright, refreshing, and healthy sorbet with vibrant raspberry flavor with a subtle hint of rose. 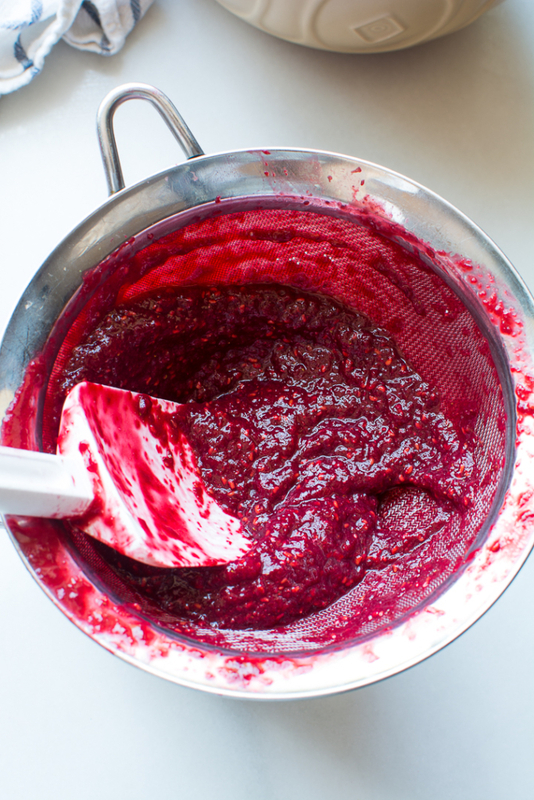 Over a medium size (2 quart) bowl pour raspberry mixture through a fine mesh sieve or a food mill to strain out all seeds. Press firmly against the sides of the sieve to get as much pulp and juice as possible. Add the lime juice, rose water, and 1 cup sugar syrup. Stir to combine. Refrigerate mixture until chilled, at least 2 hours. Pour chilled mixture into the bowl of an ice cream maker. Freeze according to manufacturers directions. *How can one tell if there is enough sugar syrup in the sorbet mixture? Well, I got a great tip off of Youtube. Once the 1 cup of sugar syrup has been added to the mixture. Drop a clean egg into the mixture. Don't crack open the egg, just a whole egg still in the shell. If the egg sinks, then you will need more sugar syrup. Simply slowly add and stir more sugar syrup into the mixture until the egg begins to float to the top and once a quarter size amount is showing, you have added enough of the sugar syrup. If there isn't enough sugar syrup in the sorbet, the frozen result will be grainy like an Italian granita. Add too much syrup and the sorbet will be soft like a slush. 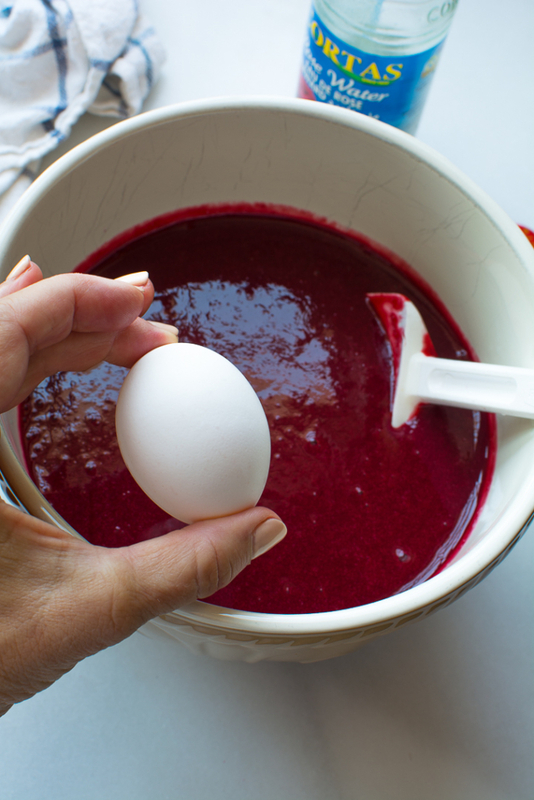 The egg trick will produce a perfectly frozen sorbet that will scoop beautifully and be shiny. Who knew, right? 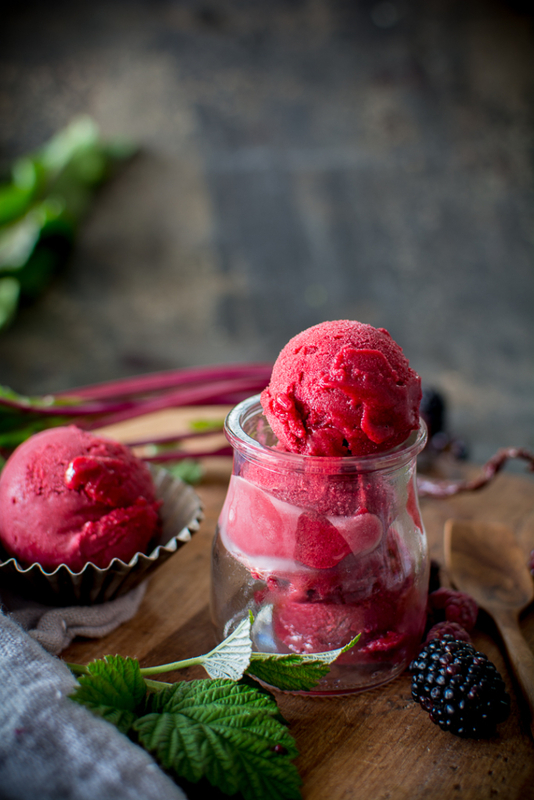 Place a container for the finished sorbet into the freezer to chill. Transfer the sorbet into the chilled container then return to the freezer to chill. If the container is chilled, the sorbet won't begin to melt as it is transferred from ice cream maker to container to freezer.